Not only can it charge your smartphone, it can charge itself. The Powercore Fusion is now my go-to battery pack simply because it’s so versatile. When sitting in an airport near an outlet, I can use the Fusion to charge my iPhone or Android device without using any of the internal 5,000mAh (18.5Wh) battery. Then when an outlet is nowhere to be found, the same device can still charge my devices. Any time I don’t have to worry about packing yet another item, I’m happy. The Powercore Fusion 5000 can charge itself in a standard 110V wall outlet, or through a Micro-USB port on the face of the device. In testing, we found the pack to charge in 2.5 hours. There are two USB-A ports on the front, both of which are identical in functionality. You won’t find any form of fast charging on the Fusion, which we confirmed during testing. A power button on the left side of the Fusion activates three indicator lights. The same button is also used to switch from charging connected devices to charging the pack itself after you’ve unplugged all cables. As for efficiency, our test returned a somewhat disappointing result of 80.96 percent. It’s not a deal breaker by any means, but with a battery pack that’s so handy, it would have been nice to squeeze a bit more power out of it. In the box is the Powercore Fusion, a carrying bag, and a Micro-USB cable. 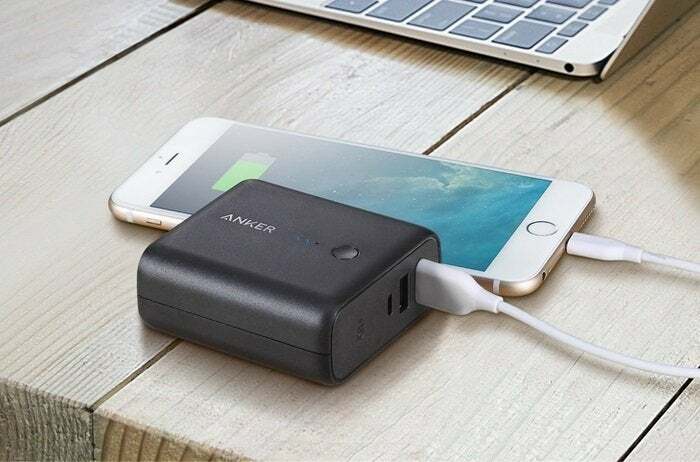 Bottom line: The epitome of a portable battery pack, the Powercore Fusion includes an AC wall plug to pull double duty as a multi-port wall charger.